If you are a Northerner, you know about the winter blues. Most of us enjoy winter at first. We enjoy hot drinks by the fire. We watch as sparkling white snow clings to our leafless trees. We wear boots and scarves. But sometime in the middle of February, it hits. We begin to feel stir crazy. We crave color. We crave unique tastes. We crave warmth. This is when we make plans to travel to Jamaica. 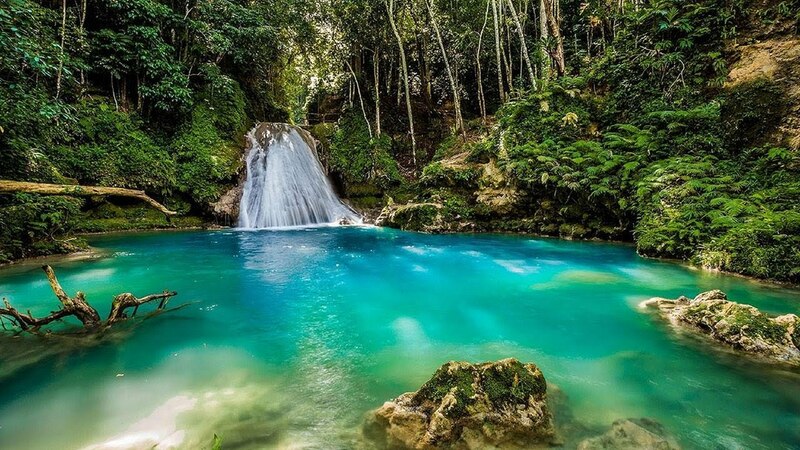 Before you purchase your travel package to Jamaica, here are some things to know about this vibrant island destination. Jamaican resorts are suitable for singles, couples, and families. A little bit of research will enable you to find the right resort for your situation. There are all-inclusive resorts, both family friendly and adults only. There are luxurious, small hotels, and there are spots near the beach for the budget conscious. Regardless of where you stay, you will enjoy some of the most beautiful beaches in the world. The west-coast town of Negril is home to Seven Mile Beach, but you will also find a beautiful place to drink rum near Ocho Rios and Montego Bay. Jamaica has been issued the same travel advisory as the United Kingdom, France, and Denmark. Although Jamaica is considered relatively safe for tourists, you are encouraged to stay in the “touristy areas.” Avoid downtown Kingston, Montego Bay, and Spanish Town, especially at night. The drinking water in Jamaica is potable, so drink up to stay hydrated. The U.S. dollar is accepted at most tourist areas. This is also true for debit and credit cards. You may run into trouble using both at small shops and rural businesses. The coolest months in Jamaica are during winter in the Western Hemisphere, so during December through February. “Cooler” weather in Jamaica is the mid-80s (F) for the highs and lows in the upper 60s. Even during the hottest summer months, temperatures usually hit the low 90s. Hurricane season for Jamaica is generally between June to November, and May and October are typically considered the rainy months. The winter can be very dry. If you plan to drive in Jamaica, stay on the left and use caution. Horns are used often, especially when passing. Watch for stray animals on the roadways, including cows, donkeys, and goats. The most dangerous obstacle on the roadway is the pothole. Small animals that fall into these enormous potholes are lost forever. Lock your car doors when it is unattended and don’t leave valuables in sight, just as you would in any large city. Ask the advice of a trusted local before driving through the rural areas of the island. There is not a reliable Uber presence in Jamaica, and tourists are instead encouraged to use hotel shuttles or wave down a local taxi. Eat the local cuisine. Enjoy fiery jerk chicken. The meat is dry rubbed with Jamaican jerk spice, which includes allspice and Scotch bonnet peppers. Coffee drinkers will enjoy Jamaican Blue Mountain Coffee. This coffee is some of the rarest and most expensive in the world. The Jamaican version of the Hot Pocket is the Jamaican Patty. Order yours from Juici Patties and Tastee Patties. They are offered in vegetarian versions as well. Of course, if you travel to Jamaica, you will see plantains on every menu. Try as many versions of the plantain as possible. Some are fried and then served similar to sweet potato fries. Often they are served at dinner as a sweet dish to enjoy with a savory saltfish. Sometimes called a pinch-me-round, the Gizzada is a favorite dessert in Jamaica. The small treat has a crust with a gooey coconut center. Most food from street vendors is safe to enjoy. Drink the rum. There are many drinks in Jamaica considered iconic. The first of which is the Flaming Bob Marley. This shot has three layers found in the colors of the Rastafarian flag. The “flaming” part of this drink comes when your bartender lights the concoction on fire. It’s something you need to try at least once. Another fun drink to order is Vodka and Ting. Ting (which is the Creole word for thing), is a grapefruit flavored soda. This mixes well with vodka for a crisp, refreshing drink. Although many places claim to have the secret for the best Jamaican Rum Punch, most of the time it includes pineapple, orange, and lime juice. Grenadine syrup makes the drink its color and sweetness. Be careful with this one. It creeps up on you. Embrace the laid-back spirit of Jamaica. Stop and listen to the steel drummers. Braid your hair. Relax, mon.